With always a smile on his face and his incredible charm and talent – what’s not to love about the one and only, Josh Levi? Bringing his million dollar smile with him everywhere he goes and taking over the stages in the United States, in Dubai and in various countries in Europe – it’s clear to see that Josh Levi is an international sensation. The musically inclined Josh Levi has a voice like no other and one that truly mesmerizes everyone who gets to hear his music. Whether you hear Josh Levi sing for a few seconds or a few minutes, one thing that everyone finds themselves saying is, “Wow. This young man is stupendous“!! Josh Levi first stole our hearts when he set foot on the X-Factor stage and let’s just say the rest is history because Josh Levi is now everyone’s greatest obsession! Josh Levi has an inborn talent for singing, dancing and acting – talk about a multi-threat. To add onto the many reasons why Josh Levi is adored by fans worldwide is that he remains so humble and down-to-earth despite all his successes and accomplishments. Josh Levi is truly one gifted musician! 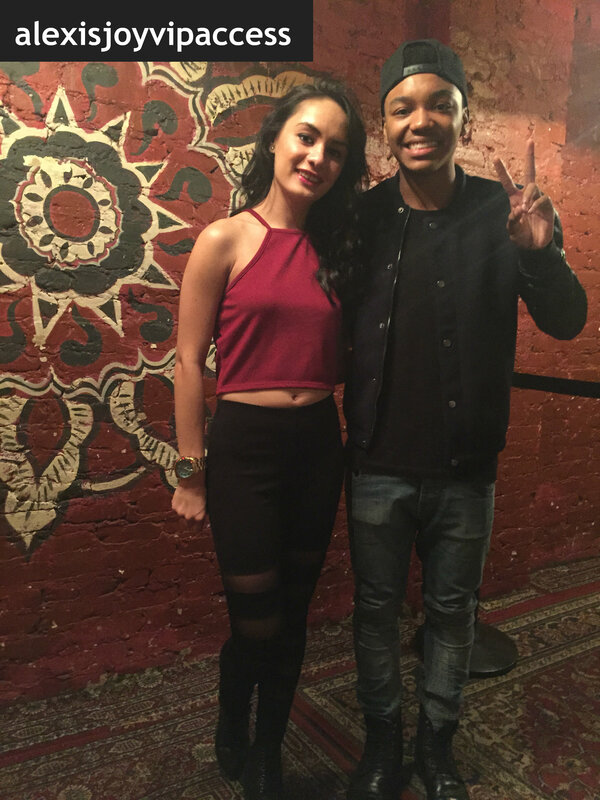 I, Alexisjoyvipaccess had a brilliant time catching up with and interviewing the stellar Josh Levi again, this time at The Gramercy Theatre, NYC as he performed on the Grow Wild Tour with IM5! The awesome Josh Levi dishes exclusively to Alexisjoyvipaccess all about his tour “must-haves”, where his dream concert venue would be to perform at, and so much more only in our VIPAccessEXCLUSIVE updated interview! Josh Levi even does a fun speed round in our interview where he spills on his favorite emoji, his go-to dance move, his celebrity crush and more! Hear what the incredible Josh Levi has to say only in our updated VIPAccessEXCLUSIVE interview below! Thanks for another fun interview, Josh! Check out my updated VIPAccessEXCLUSIVE interview with the outstanding Josh Levi below! Stay tuned to see when the Grow Wild Tour with IM5 is coming your way by following @growwildtour on Twitter and visiting: growwildtour.com! Follow Josh Levi on Twitter: @JoshLeviWorld and visit: http://www.joshleviworld.com to see when the amazing Josh Levi is coming to perform at a town near you! Next VIPAccessEXCLUSIVE: Phenomenon IM5 Band Updated Interview With Alexisjoyvipaccess At The Grow Wild Tour NYC!